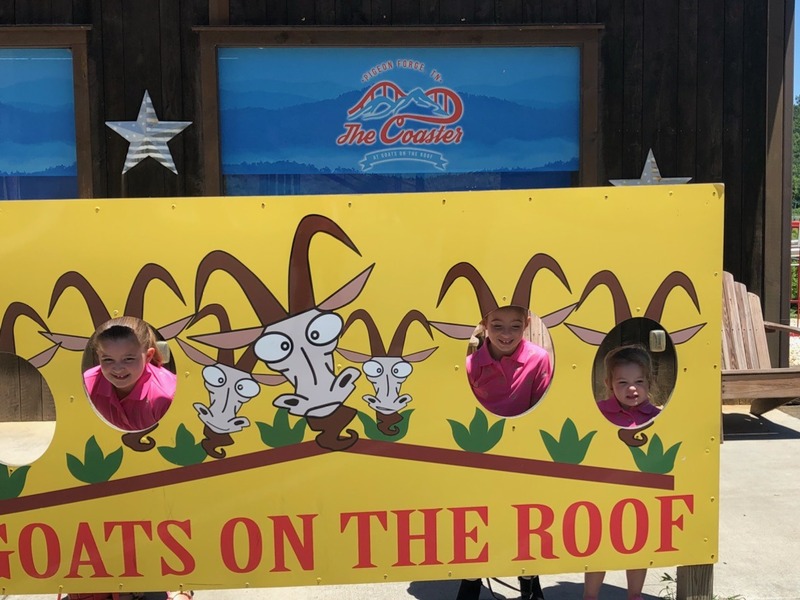 A one-of-a-kind Pigeon Forge attraction, The Coaster at Goats on the Roof offers exciting entertainment for the whole family. 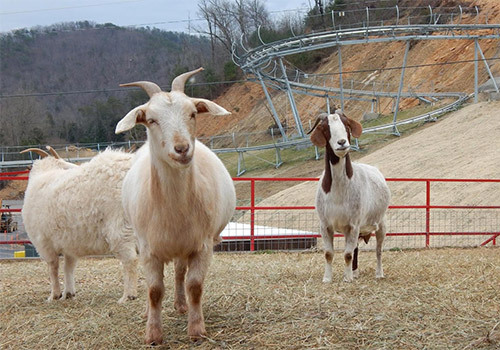 Guests can enjoy gem mining, feeding the goats, tasting homemade ice cream and fudge, and zipping around the woods at up to 30 miles per hour on a mile-long alpine coaster track. 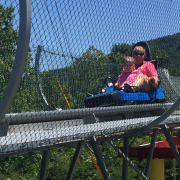 The coaster also features hand brakes so guests can control their speed while riding. Reach speeds up to 30 mph on 1 mile track. Driver must be at least 16 years of age. 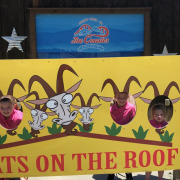 Experience The Coaster at Goats on the Roof in Pigeon Forge and enjoy the thrill of the best alpine coaster in Tennessee! 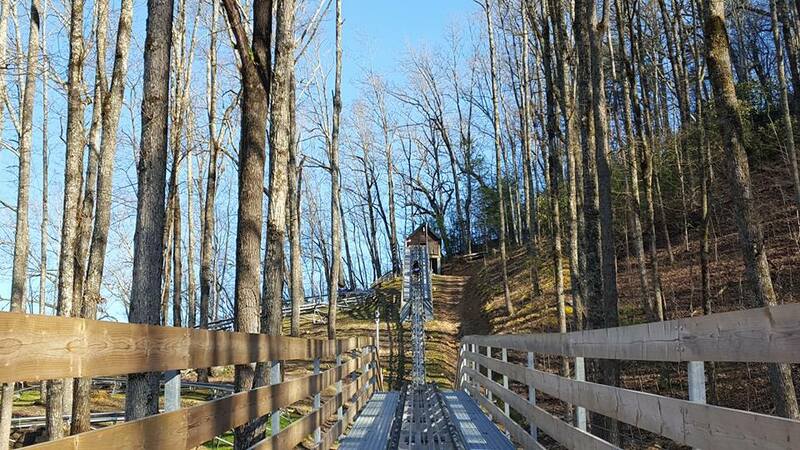 Zip around the woods at at speeds just under 30mph on our mile-long track, and with a view that can’t be seen anywhere else in town. Whether you enjoy riding alone or pairing up – it doesn’t matter since the carts are designed to comfortably carry one or two people. 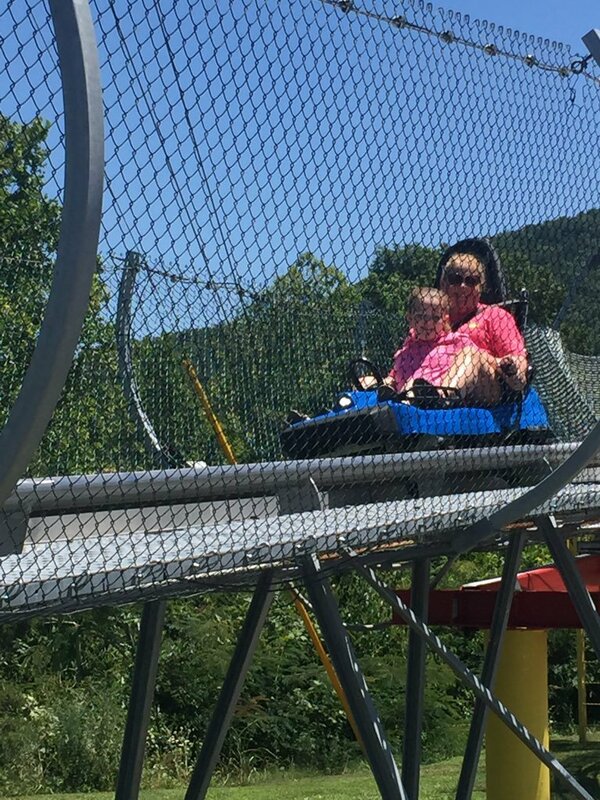 Each cart is equipped with hand brakes so you can go slow if you are a little nervous, or let it rip if you are a speed demon. 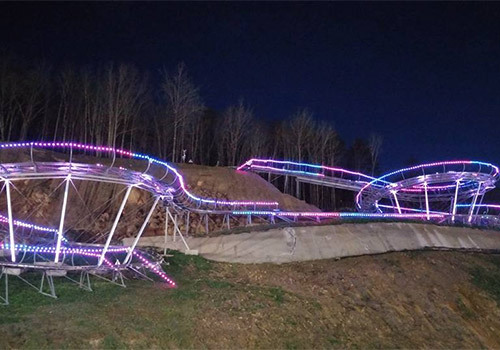 This hands-on ride is fun for the whole family. 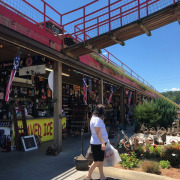 All are guaranteed to have a fantastic and memorable time! 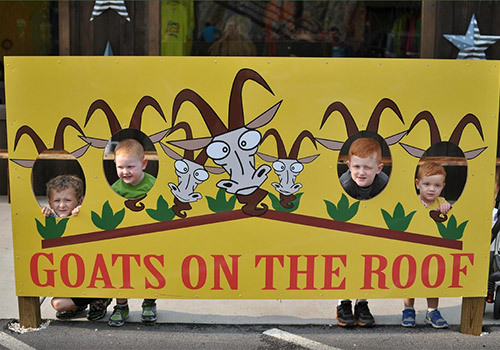 In addition to an awesome alpine coaster, we welcome you to get your hands dirty and feed the goats, try your luck at gem mining and taste the sweetness of our homemade ice-cream and fudge. 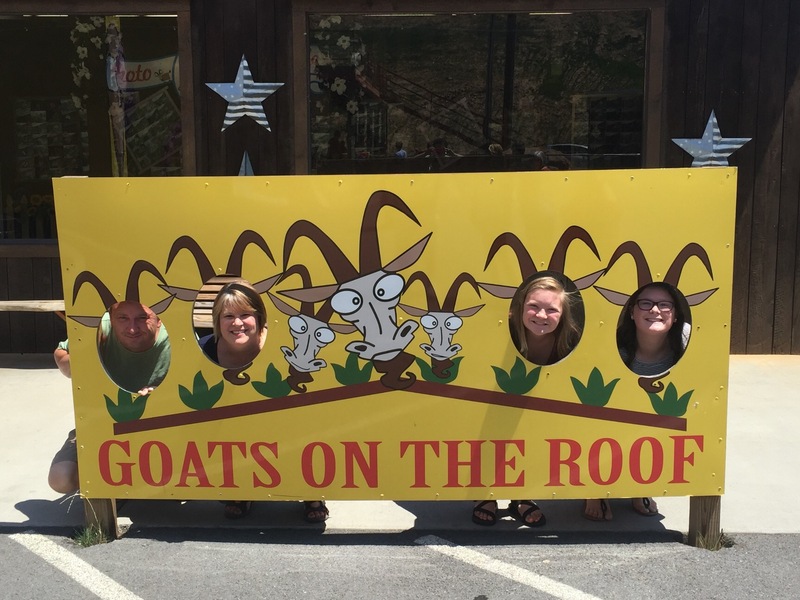 Come on down to the Great Smoky Mountains and enjoy Pigeon Forge, Gatlinburg and the Coaster at Goats on the Roof! 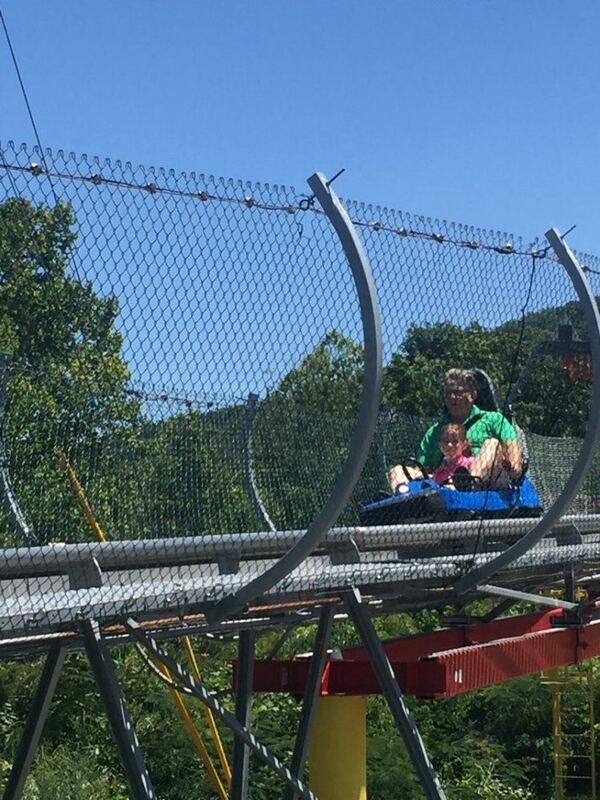 It truly is fun for the whole family. 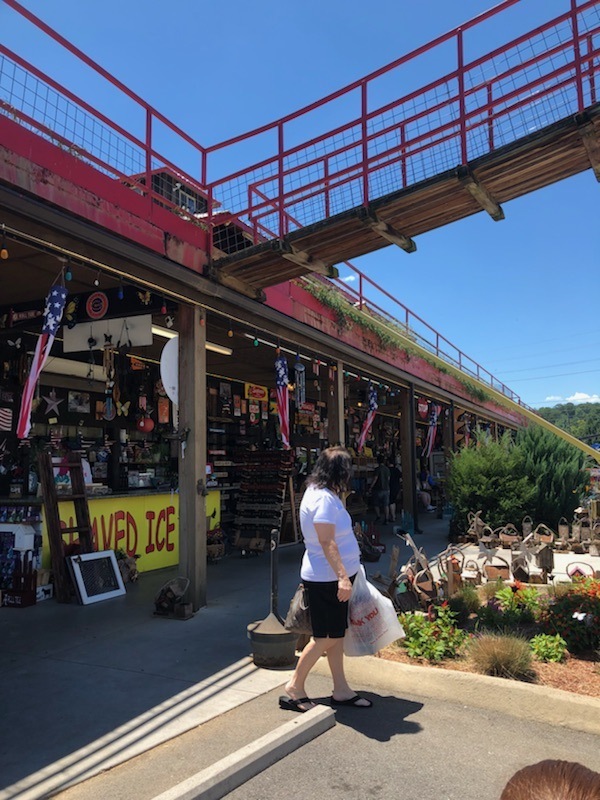 Hours of Operation are Sunday through Thursday from 10:00 am to 9:00 pm, Friday and Saturday from 10:00 am to 10:00 pm. Closing times are approximate and depend on crowd levels and weather. 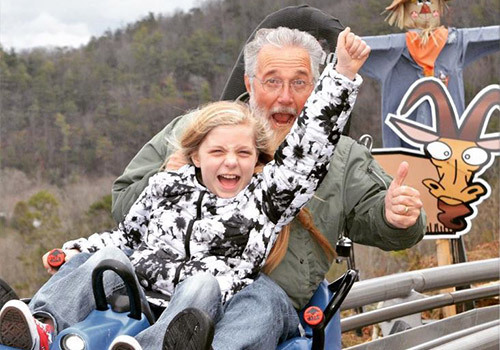 How many people can ride in each coaster? The carts are designed to carry one or two people. 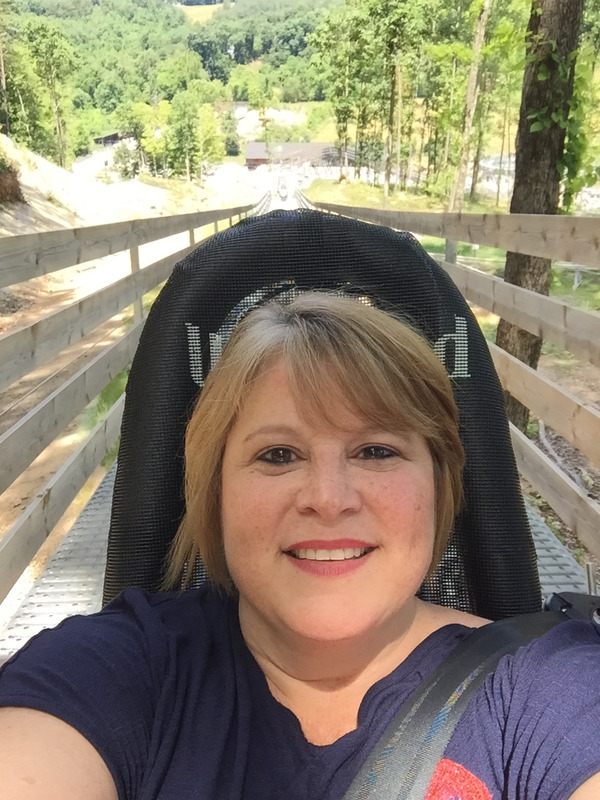 Do I have to brake during the ride? 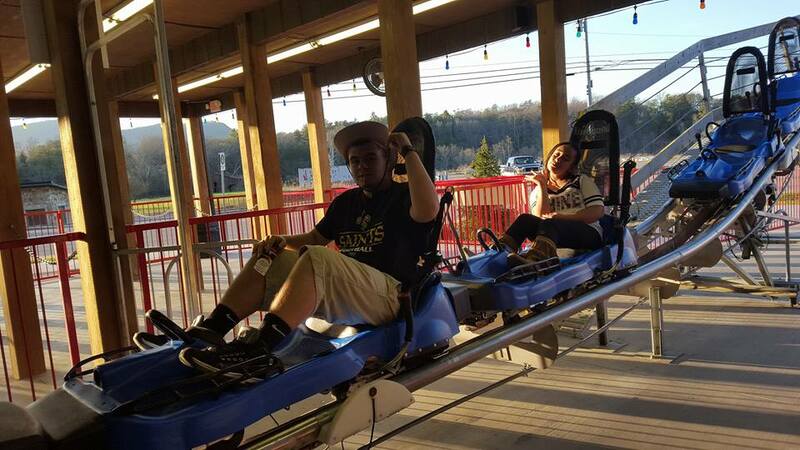 Each cart is equipped with a hand brake, you can brake if you want to go slow, or let it rip if you want to go fast! 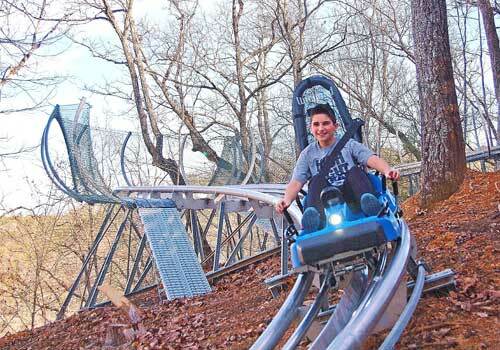 What are the height and weight requirements to ride? 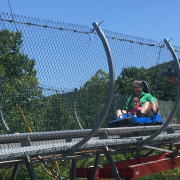 The person controlling the slide has to be at least 56 inches tall (4.6 ft) and at least 16 years old. The Passenger/child must be at least 38 inches tall (3.1 ft) and at least 3 years old. The maximum height is 84 inches (7 ft). 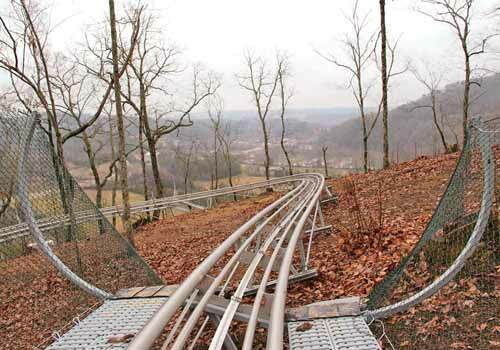 Yes, the weight limit per slide is 375 lbs in dry conditions and 330 lbs in wet conditions. 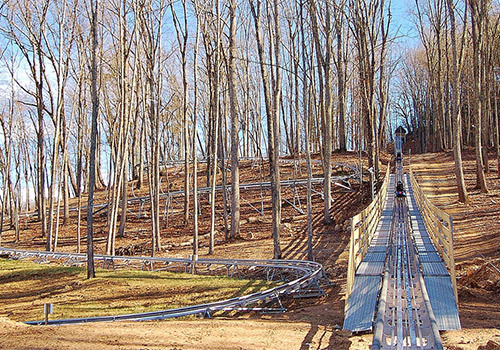 Each ride is 7 minutes of smooth riding on a one mile track. 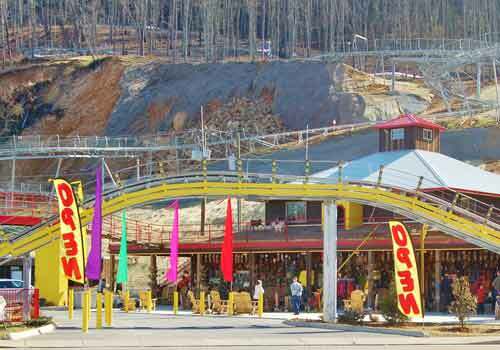 Is the coaster open in the winter? Yes, they operate in all kinds of weather. Does this operate in inclement weather? 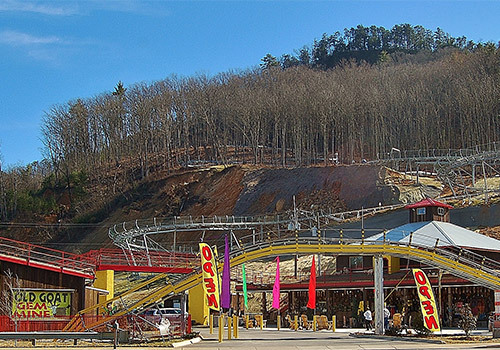 They may close for severe weather, but sometimes operate if it’s still raining or snowing. If you are unsure, you can always call to check.